Perhaps the most surprising aspect of Cadillac’s newly introduced compact crossover is that … it took so long to get here. For a market that is essentially 15 years old, has long contained more than a dozen entries, and is growing in popularity at an incredibly rapid rate, Cadillac seems kind of late to the party. But they’ve finally arrived for 2019 bearing a pretty darn nice gift: the impressive new XT4. 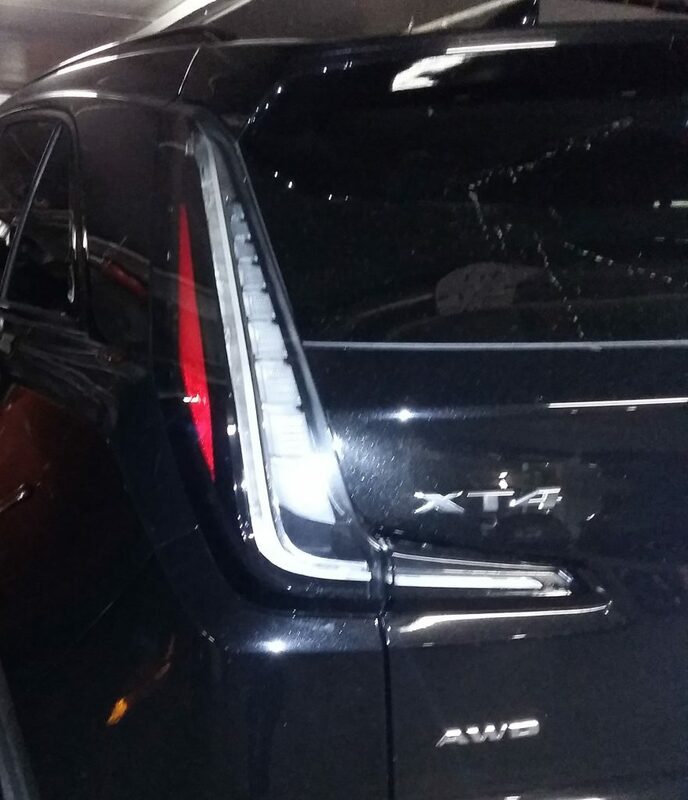 … has white taillight lenses, black grille and trim, and distinct wheels. 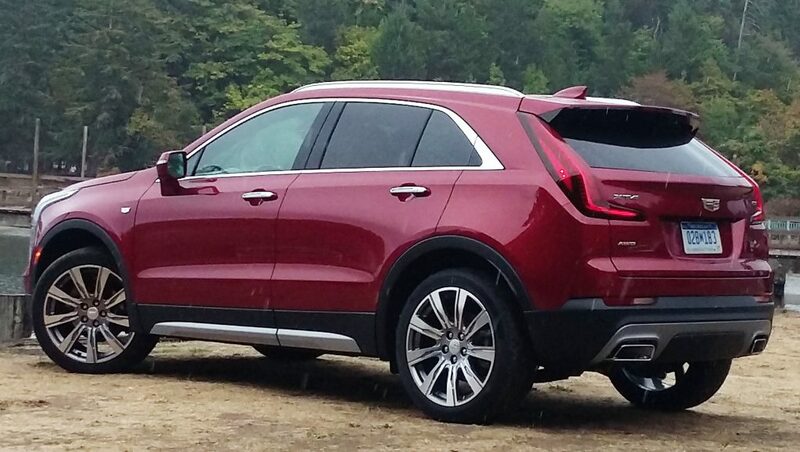 First off, this is not your stereotypical Cadillac – or at least, not the stereotypical Cadillac of old. If you haven’t been watching, recent efforts of the marque have been aimed at a much younger demographic than Cadillac has traditionally attracted, which has occasionally turned off long-time Cadillac customers. But this most recent vehicle may be better able to span the gap than a few of the company’s recent endeavors. 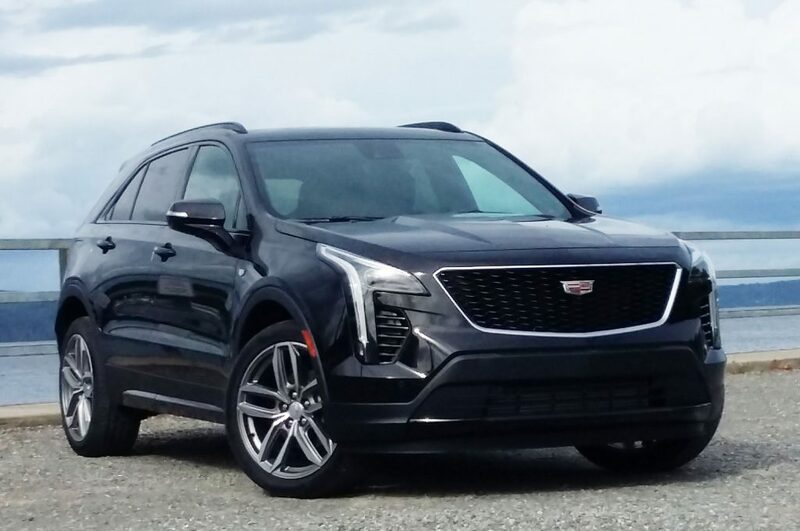 Chief among the “gap spanning” improvements is the XT4’s New Generation Cadillac User Experience, which is … a new generation of the Cadillac User Experience. Known and marketed as “CUE,” the original tech-rich infotainment system introduced for 2013 drew lots of barbs for its overwrought complexity, the “experience” being more of gee-whiz gimmickry and head-shaking aggravation than leading-edge assistance. But much of that has been tamed, in part by adding redundant means of adjustment. 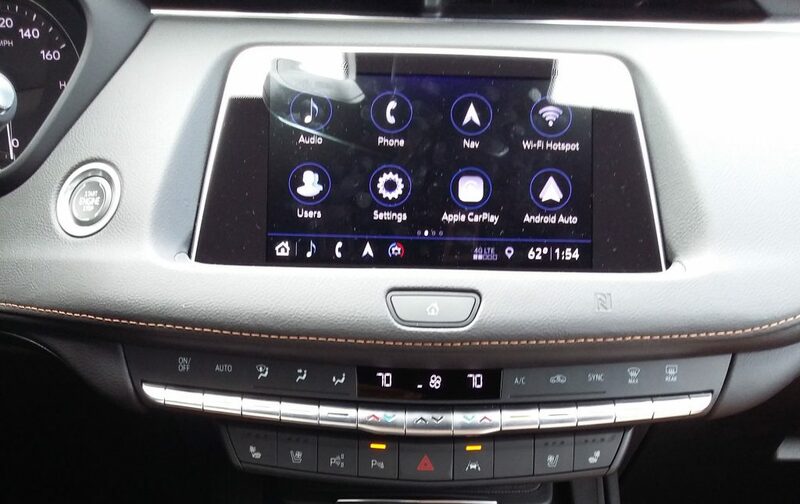 Not only is there a traditional touchscreen and steering-wheel controls, there are also two console control knobs (one being a volume knob to replace the former odd “slider”) and voice recognition. While our test drivers seem split on the wisdom of putting controls on the console rather than up by the screen, at least this latest effort is an improvement over the former one. As with most rivals in the premium class, it takes some acclimation and practice to quickly perform some adjustments, but training shouldn’t take that long. Climate controls are even easier to adjust, for while they consist of flippers rather than more-convenient rotary knobs, one advantage is that you can select defrost, dash, and floor outlets all at the same time. The XT4’s interior is expectedly upscale, and is offered in two-tone color combinations with a choice of aluminum, carbon fiber, or wood trim. As might be expected of a Cadillac, one of the strengths of the XT4 is in its feature availability — more of which we’ll get to in a bit. Less expected, perhaps, is a strong value equation. The base Luxury trim level starts at $35,790 including the $995 destination charge, but most buyers will likely move up to either the Sport or Premium Luxury trim levels, both starting at the same $40,290. (In all versions, front-wheel drive is standard, all-wheel drive a $2500 option.) As evidenced by their names, these are aimed at different audiences, and are distinguished by both appearance and features. 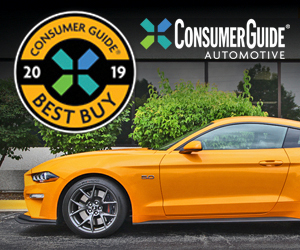 In terms of the former, the Sport model trades chrome exterior trim, traditional red taillights, and bright wheels for black trim, white taillight lenses, and satin-finished wheels with a more “open” design. Inside, both add blind-spot alert, rear cross-traffic alert, front and rear obstacle detection, and auto-dimming rearview mirror. But the Sport trades the Premium Luxury’s leather upholstery (keeping the standard Leatherette) for front cornering lamps and sporty interior and exterior features and trim. And the Sport model is the only one to offer Cadillac’s Active Sport Suspension with Continuous Damping Control. … console control knobs for volume and selection, all part of the New Generation Cadillac User Experience, which is a much-appreciated update of the unloved Cadillac User Experience known as “CUE.” It allows for touchscreen, control knob, steering wheel, and voice control of many infotainment functions. 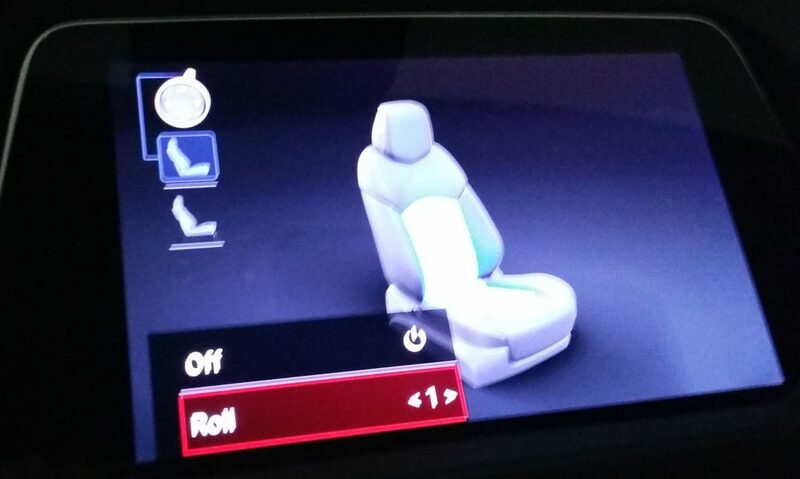 Available options – most contained in various option packages – include heated front and rear seats, heated steering wheel, ventilated and massaging front seats, driver seat with 4-way lumbar adjustment, head-up display, a rearview camera able to display its image in the rearview mirror, power tilt/telescopic steering wheel, wireless device charging, hands-free liftgate, and auto park assist. Optional on the safety side are forward collision warning with pedestrian detection and low-speed automatic braking, lane-departure warning, lane-keep assist, automatic high beams, 360-degree camera system, and reverse automatic braking. While we’d like to see more of those safety features as standard – at least on the Premium Luxury and Sport models – the packages aren’t overly expensive, and loaded to the gills, both the Premium Luxury and Sport models should sticker at right around 50 grand. As is now the norm in the premium compact-crossover class, the XT4 is powered by a 2.0-liter turbocharged four that includes a stop/start function. 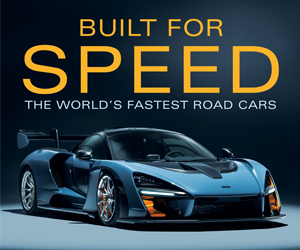 The engine puts out 237 horsepower and 258 lb. ft. of torque, pretty good for the class. Mated to a 9-speed automatic transmission, front-drive models earn EPA fuel-economy estimates of 24 city/30 highway, while AWD models come in at 22/29 – also good for the class. As with most rivals, flooring the throttle from a stop results in a brief hesitation while the engine starts (the stop/start function can be disabled with a console switch, but it has to be pressed every time the vehicle is started) followed by a brief moment of turbo lag before real power arrives. And at some mid-range speeds, stabbing the throttle results in a slight hesitation before the transmission downshifts, but power thereafter is ample. Optional is a rearview camera that can display its image in the rearview mirror, a great feature if people or cargo block your “normal” rear view. More impressive dynamically is the ride/handling combination. First noticed is that while very light, the steering is quick, and in combination with a fairly firm suspension, it gives the XT4 a rather sporting feel. Ride quality was tough to judge on the relatively good roads around the Seattle preview location (at least when compared to the not-so-good roads around our Chicagoland headquarters location), but the XT4 seems to ride nicely enough. Unfortunately, we didn’t get an opportunity to test a Sport with the optional Active Sport Suspension. One of the rare class features offered in the XT4 are massaging front seats. In terms of interior space, the XT4 is about par for the compact-crossover course. 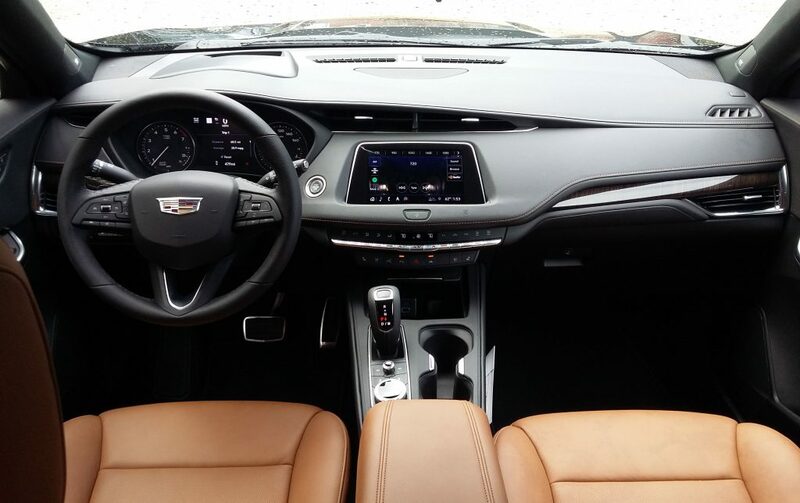 Although Cadillac claims that the interior will accommodate four 6-footers, models we tested with the panoramic sunroof could barely accommodate my 5’9 self in the back seat, as my head nearly brushed the headliner. Move the seat ahead of me all the way back, and my knees would be confined as well. So while there’s good head and leg room for tall folks in front, normal-size ones won’t likely fit behind them. Visibility isn’t a strength. While it’s OK to the left front, it’s just fair to the right front, and it’s more restricted to the sides and even worse to the rear corners. However, a standard rearview camera and available front-and-rear obstacle detection help, and a 360-degree camera system is available. I recently had the opportunity to drive the XT4’s similarly sized GMC Terrain cousin. Something that really impressed me with that vehicle was the interior storage space, which consisted of numerous bins and cubbies, a couple quite large. Unfortunately, the XT4 does not share those attributes. Remember the XT4’s aforementioned console control knobs? The Terrain doesn’t have them, all its infotainment controls being on the dash. 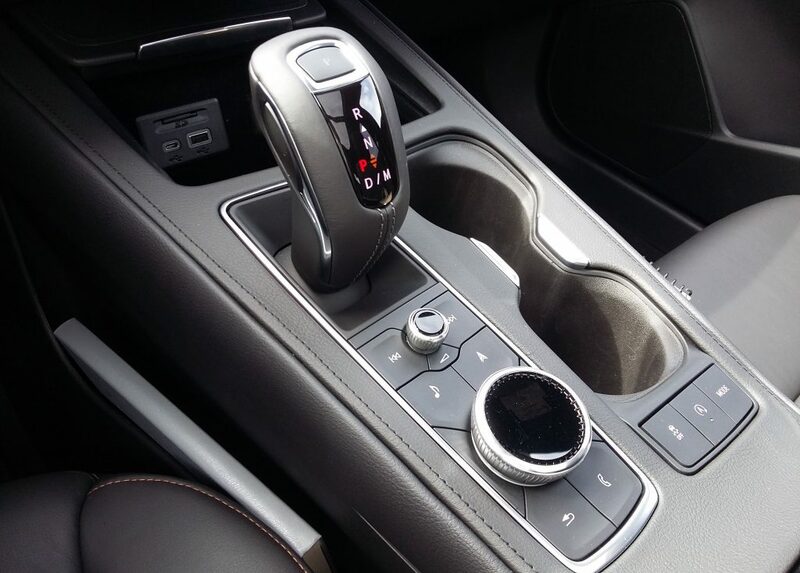 Nor does the Terrain share the XT4’s odd “toggle” gear-shift lever – likewise in the console – instead using unusual buttons placed along the lower edge of the dash. These two elements serve to free up a lot of console space the Terrain puts to good use, and the GMC also adds a few other cubbies the Caddy doesn’t have. That’s not to say the XT4 is really lacking in this regard – offering a large glovebox, a 2-tier console box with 12-volt and (at least on our Luxury Premium tester) a wireless-charging pad, and a covered front console bin with USB/USB-C/12-volt plugs and an SD-card slot, but the only “surprise” storage areas are slim bins along the sides of the console … which the Terrain also has. The cargo area not only has tie-down hooks and side lighting, but also a lot of hidden storage space under the floor. Rear seat backs fold flat and level with the cargo floor to provide a good amount of useful storage area. But what the Terrain doesn’t have are some of the XT4’s features and furnishings, all of which are more in keeping with the traditional Cadillac image. Much of the move toward crossovers has to do with cargo space and versatility, and the XT4 fares well here. 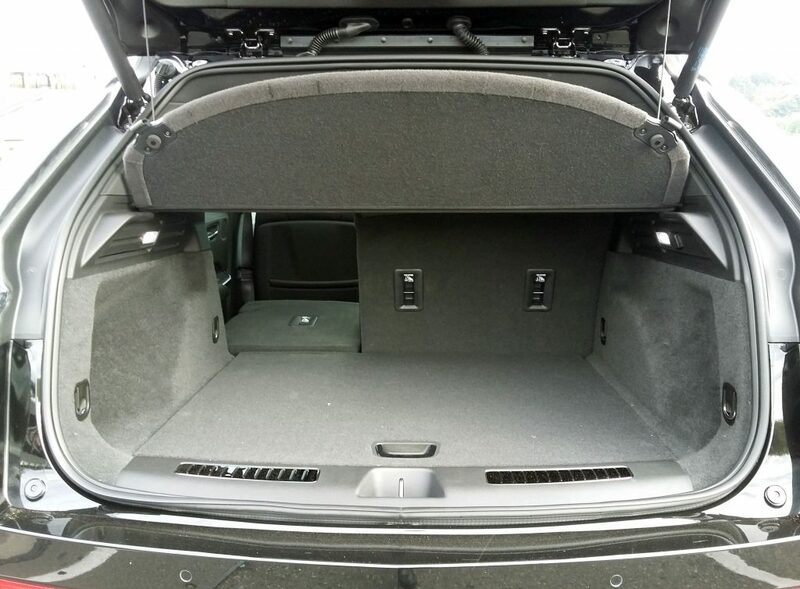 The cargo area has an indent on the driver side that should allow for sideways storage of a golf bag, the seat backs fold level with the cargo floor, the cargo area features tie-down hooks and sidewall lights, and there’s a good amount of hidden storage under the floor. Aside from brand status, dealer service, and perhaps a better warranty, the typical reasons for moving up from “regular” compact crossovers to premium ones are to get additional luxury features and a more powerful turbocharged engine. The new Cadillac XT4 offers both – including more of the former than most – all at prices that undercut those of some more-established rivals. So while Cadillac hasn’t previously been on the premium-compact-crossover radar, the XT4 is a “blip” that should be considered. Cadillac says the XT4 combines sport-sedan dynamics with SUV cargo capability, and it seems to do just that. It also offers a lot of features that either cost a lot more to add to some competitors or aren’t available at all, making it a strong contender in a class previously made up primarily of imported makes. Written by: Rick Cotta on September 17, 2018.on March 22, 2019.